A 10-year study has concluded that billions of dollars of research have gone down the drain in experiments on mice that proved completely useless when applied to humans. The paper analyzing this tale of waste and embarrassment says that using mice as a model has been totally misleading for at least three major areas of human medicine: treating burns, trauma and sepsis. According to the paper, out of nearly 150 drugs tested on human patients at enormous expense, and after passing their mouse trials, nearly every single one failed in humans. The study also raises major questions about the use of mice in researching almost any disease that involves the immune system, including cancer and heart disease. Murine [mouse] models have been extensively used in recent decades to identify and test drug candidates for subsequent human trials. However, few of these human trials have shown success. The success rate is even worse for those trials in the field of inflammation, a condition present in many human diseases. To date, there have been nearly 150 clinical trials testing candidate agents intended to block the inflammatory response in critically ill patients, and every one of these trials failed. It took the scientists more than a year to get any journal to publish their findings. They were turned down by Science and Nature before finally being accepted by the Proceedings of the National Academy of Sciences. Except it wasn’t wrong. And the study could shake up the entire vivisection industry. Traditionally, medical researchers looking for funding have to write up a proposal that uses mice. But “these data are so persuasive and so robust that I think funding agencies are going to take note,” Dr. Fink said. The key things to remember about any animal model is that (1) it's a model, and (2) it's in an animal. Not a human. But it can be surprisingly hard to keep these in mind, because there's no other way for a compound to become a drug other than going through the mice, rats, etc. No regulatory agency ... will let a compound through unless it's been through numerous well-controlled animal studies, for short- and long-term toxicity at the very least. The authors of the study suggest that mice may also be bad models for other diseases that involve the immune system, including the big killers cancer and heart disease, which would be a stunning blow to the vivisection industry. 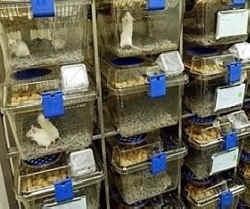 While the study focuses on the billions of dollars of wasted money and the years of wasted time, it somewhat passes over the cost in millions, maybe billions, of lives – the mice and rats who are born in laboratories each year, live their miserable lives in laboratories, and then die in laboratories. Antivivisection organizations have been saying for decades that much of the research that’s done on nonhuman animals is useless. Dr. Jarrod Bailey, Science Director of the New England Anti-Vivisection Society, calls the paper an important addition to the ever-increasing evidence against animal research. Yet again, we see that decades of research, and millions of animals' lives and taxpayer dollars, have been cruelly wasted. How much more evidence do we need before action is taken to move away from using animals, toward demonstrably superior and more humane alternatives? We know animals don't predict human drug efficacy and toxicity: it's now known that 94 percent of drugs that appear safe and effective in animals fail in humans. Each year in the U.S. over 100,000 people die from drug reactions not predicted by animal testing. We know animals don't serve as models for many human diseases: hundreds of failed AIDS vaccines, stroke treatments and cancer therapies, and treatments for diabetes, multiple sclerosis, and Alzheimer’s and Parkinson’s diseases testify to that. 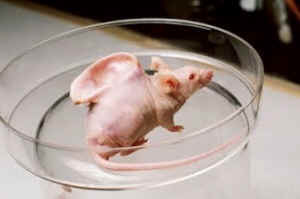 Mice and other animals are not furry test tubes or surrogate humans. The degree of their failure is evident, and now genetic and molecular research such as this new paper is telling us why they are failing, how they can never succeed...and that more humane research is absolutely imperative. Persisting with animal experimentation, in the face of such damning evidence is not only unscientific: it results in serious harm to people, as well as animals.